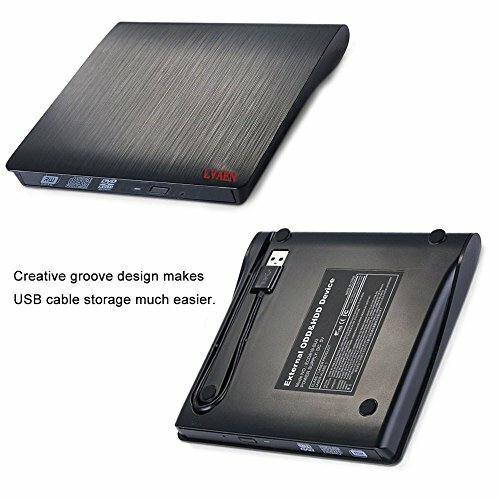 The USB3.0 DVD burner is a perfect companion for computers without the internal drive. 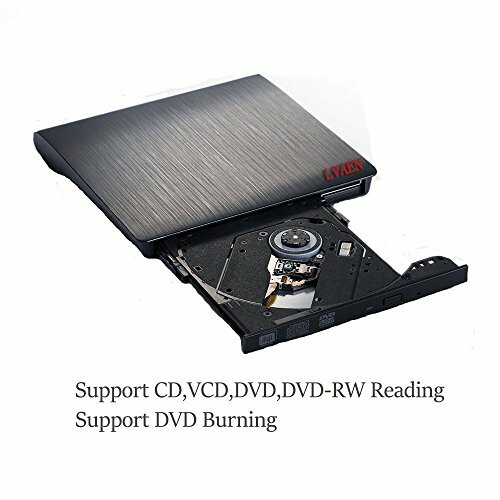 With this CD/DVD burner, you can watch DVD movies, burn files, movies to a CD/DVD, install software and create backup discs etc. 1.Please hook up the device to the direct USB port on your computer. If you connect it to a USB hub or extension cords, it maybe cannot recognize the Driver or not read the CD/DVD. 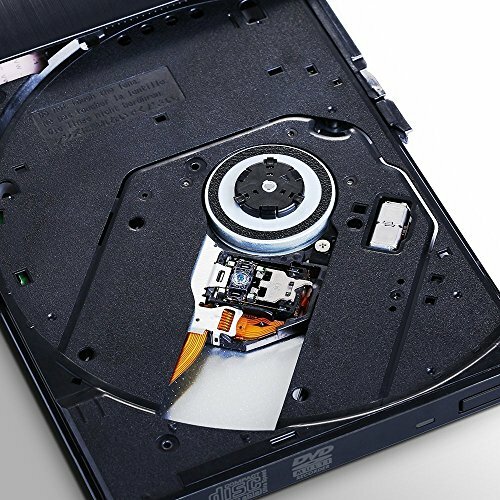 3.This drive is not fully compatible with computers of windows 10 system due to the compatibility issues between windows 10 itself and the external hardwires. No external power and driver required. Plug and play. 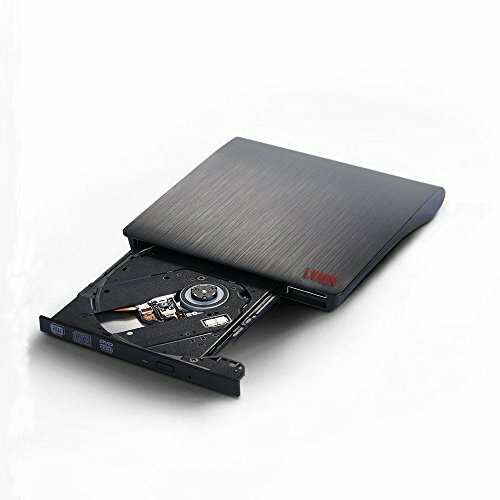 This ultra slim DVD burner adopted USB3.0 technology. It allows faster data transfer speed. It is also compatible with USB2.0 and USB1.0. With a slot at the back of this product, USB cable can be hided when using it. It is easy to storage and carry. Computers: laptop, desktop and other computers with USB ports. 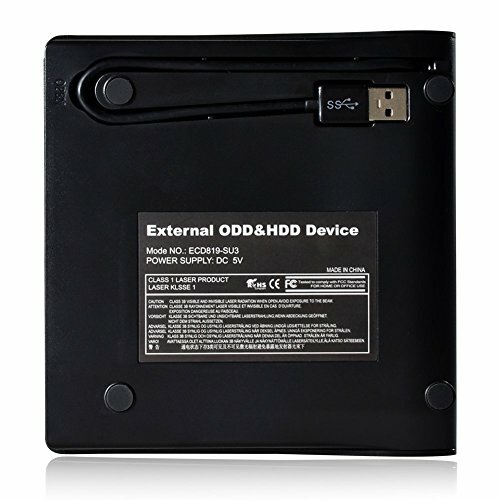 PLUG AND PLAY: This external CD DVD drive is powered by USB 3.0 port,Easy to use,it will run automatically,no extra drive needed,can work with Macbook and Windows 10/8 Laptop and Desktop. USB 3.0 HIGH SPEED: This CD ROM CD RW burner equip with USB 3.0 cable,provides faster data transfer speed up to 640M/s base on USB 3.0 transmission standard,more stable performance,also being backwards compatible with USB 2.0 and USB 1.0. 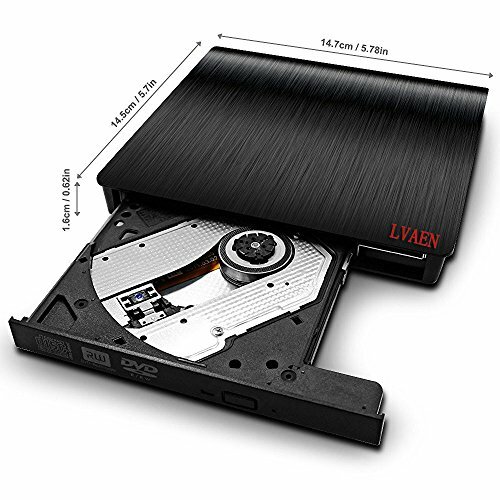 LVAEN CD DVD burner adopt unique intelligent burning technology,strong error-correcting ability.you can burn your disc or interrupt recording at your ease.Pop-up button and disc tray design make it convenient to read or write discs. Compact Design. It is portable for travel with your laptop thanks to its small size. It will be specially handy for your work if you want to give presentations to the business. Just burn the DVD to suffice everything and do not need to carry laptops everywhere. This product is only one cable.It is data cable and power cable.When connected to the desktop, please connect cable or connected to the computer motherboard.